A little bit of Arizona is coming to the Irish Open next month. 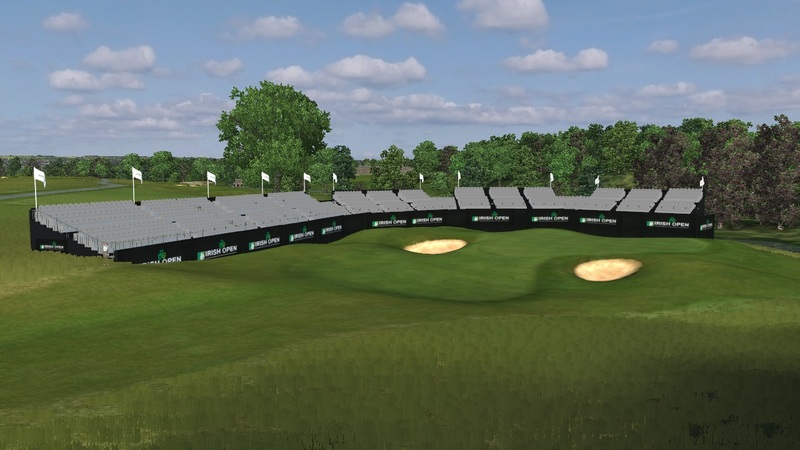 The European Tour have unveiled plans to transform the 17th hole into a spectator stadium with a grandstand seating almost 1500 fans enveloping the 176 yard par three at the Montgomerie Course. That is some way short of the numbers that can be accommodated at the famous – or infamous depending on your point of view – 16th hole at the TPC Scottsdale home of the PGA Tour’s Waste Management Phoenix Open. Come tournament week, nearly 20,000 fans cram into the ‘bleachers’ around the 160-yard par three to create a ‘unique’ stadium-like atmosphere. With the sun shining and the alcohol flowing, it can get a bit ‘rowdy’ to say the least but on the whole, the players have embraced it. This year Padraig Harrington spent some time kicking American footballs into the crowd. Unfortunately the tour can’t guarantee sunshine at the Irish Open but the ‘Open House at 17’ could well be the prime place to watch the tournament unfold. A big screen will be in place showing play and scores throughout the day and food and drink will also be available on site. Fans can now reserve their seat in the 17th hole grandstand for just €10 a day. Information about the 17th hole grandstand at the 2013 Irish Open can be found on www.europeantour.com/tickets where special advanced ticket offers can also be located.